Share what you thought about Anthem of the Sea and earn reward points. 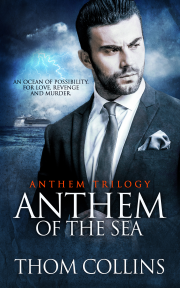 I really enjoyed Anthem of the Sea and thought the romance and suspense storylines were well balanced. Thom Collins is a new-to-me author and I’ll definitely be grabbing the next book in this expected trilogy when it comes out.